Every divorce is emotionally and financially challenging, at least to some extent. To ensure that assets are divided fairly, it’s best for both parties to hire an attorney. 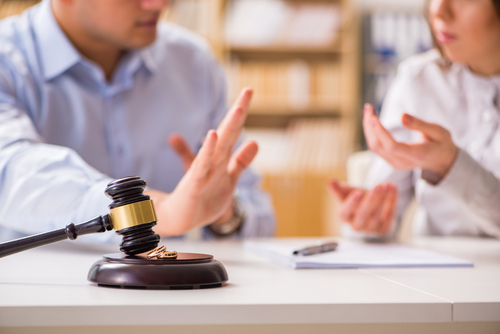 For a high asset divorce, it’s even more important to seek legal counsel. That’s because these types of divorces pose unusual challenges, such as the ones described below. High net worth individuals have a variety of assets. A middle-income earner may have a home, a car, a retirement account, and one rental property. A high net worth individual could have many different rental properties, part ownership in various companies, equity options in pre-IPO stock, and partnership holdings. Most assets aren’t owned in the person’s name but are often set up under different types of companies. While it’s relatively easy to appraise a rental property, it’s much more difficult to determine the value of pre-IPO stock or partnership holdings. It requires a valuation by financial experts. When there are a lot of assets, this process can be quite time-consuming. According to a survey by NEFE, 58% of adults have hid cash from their partner or spouse. When this happens in a marriage, it can cause problems between the partners. However, when it happens in a divorce, you’re not just risking a fight with your spouse. Hiding assets during a divorce is illegal. It will put you in contempt of court and can seriously harm your case. You may even land in jail. According to Forbes, there was a case where a woman didn’t disclose her lottery winnings to the tune of $1.3 million. Instead of splitting the money with her soon-to-be ex-husband, she wanted to keep it all to herself. Of course this didn’t go unnoticed, and the judge awarded the entire winnings to the husband instead. The challenge with high asset divorces is that the assets may not even be hidden intentionally as with the case above. That’s because high asset individuals accumulate various assets over a long period of time. Consequently, it can require the experience of an expert to unravel the financial picture for each of the married partners. And that requires legal and financial expertise. Divorces are quickest when they’re uncontested and don’t involve a lot of assets. With high asset divorces, it’s not just about finding the assets and evaluating their worth. In some cases, the assets also need to be liquidated or transferred to the other partner to allow for an equal distribution of assets. When you think about selling a rental property, you know that it can take time. But most property sales can be handled with a few short months. On the other hand, cashing out on a partnership may take much longer or be impossible if the other business partners don’t agree to the buyout. In that case, the lawyers still must find a way to ensure the other spouse receives their fair compensation. Low and middle-income family usually rely on bi-weekly paychecks to pay their bills. While these paychecks may not be very high, they’re steady and easy to predict. That’s great for determining alimony and child support. With high asset divorces, it’s not as easy as that. Many high net worth individual don’t draw a regular paycheck. They may be paid in dividends, rents, royalties, and bonuses. They may also enjoy other benefits, such as the use of a company credit card for dining or the use of a company car. While the total income can be rather large, it may not be easy to predict. In this case, it’s important to untangle the finances enough to determine what type of income each spouse is receiving. In cases of irregular income, the final divorce agreement may determine a monthly amount based on anticipated minimum earnings. Then it’s also possible to set up alimony and child support distributions as a percentage of any additional earnings. To determine alimony and child support, the court considers the lifestyle of the family before the divorce. Ideally, the lifestyle of the spouses and children should remain the same as before the separation. With high asset individuals, the lifestyle is a little out of the ordinary and doesn’t conform to normal calculations. However, it wouldn’t be fair to use regular alimony and child support limits when the other spouse has the assets to support the previously enjoyed lifestyle. It’s up to your lawyer to help you find the best solution for your case.